Observations in the northern hemisphere show evidence of a planet‐wide groundwater system on Mars. The elevations of these water‐related morphologies in all studied basins lie within the same narrow range of depths below Mars datum and notably coincide with the elevation of some ocean shorelines proposed by previous authors. The image above and on the right shows the middle stage of their conceptual model for the evolution of these deep basins and how that evolution results in many of the geological features seen in many places on Mars, such as the features I have highlighted on Behind the Black previously here and here. Data from Europe’s Mars Express orbiter has detected a pond of liquid water buried beneath the Martian south pole. The radar investigation shows that south polar region of Mars is made of many layers of ice and dust down to a depth of about 1.5 km in the 200 km-wide area analysed in this study. A particularly bright radar reflection underneath the layered deposits is identified within a 20 km-wide zone. Analysing the properties of the reflected radar signals and considering the composition of the layered deposits and expected temperature profile below the surface, the scientists interpret the bright feature as an interface between the ice and a stable body of liquid water, which could be laden with salty, saturated sediments. For MARSIS to be able to detect such a patch of water, it would need to be at least several tens of centimetres thick. The data here is somewhat uncertain, but is also not to be dismissed. It is very likely this is liquid water. I must add that this is not really a big surprise. Many scientists expected this. Also, this water is not very accessible, and is also located at the pole, the Mars’s harshest environment. Just because it is liquid is not a reason to aim to mine it. There is plenty of evidence of ice in much more accessible and reasonable locations. What this discovery suggests is that it is possible to have liquid water on Mars. The great geological mystery of the planet is while that much of its geology appears formed by flowing water, scientists have not been able to devise good climate histories that make that flowing water possible. This discovery helps those scientists in devising those histories. The coming dark age: Cape Town in South Africa will run out of water on April 16 if it does not rain soon. Officials estimate that if water levels continue to fall as expected, South Africa’s second most populous city will run out of water by April 16, which has been dubbed “Day Zero.” Experts are keeping a close eye on daily consumption in a desperate bid to avoid the disaster, warning residents tempted to ignore measures that they face fines and the installation of water-management meters if they do not comply. It may seem unthinkable that a developed city of four million could run out of water but it’s been a slow-burning catastrophe exacerbated by some uncontrollable factors. Cape Town been enduring the worst drought in a century for the past three years. 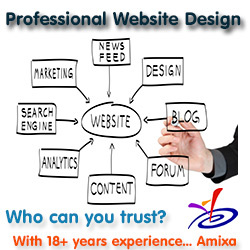 A changing climate and rapidly growing population have made matters worse. And as the crisis has taken hold, Capetonians have not been doing enough to curb their water use, further aggravating the scarcity. Only an estimated 55% of the city’s residents are actually sticking to their allotted water per day, according to last week’s figures issued by authorities. It is interesting to me that this CNN article seems to downplay the South African government’s lack of planning while instead focusing on the failure of residents to ration themselves. The real scoop here however is this: “Why did the government let this situation get to this point?” Such incompetence should have been the highlight of the article, and in the past would have been. Now, the journalists at CNN feel obliged instead to make excuses for them. Using data collected by an American instrument on India’s Chandrayaan-1 lunar orbiter scientists have produced the first global map showing the locations and quantities of trace water on the Moon. The map above, reduced to post here, is the result. The green areas at high latitudes show the most evidence of water, but the amounts remain very tiny, and the evidence remains somewhat uncertain. Regardless, this map indicates that the high latitudes of the Moon will likely be the most valuable real estate for future colonists. New data from the Hubble Space Telescope suggests that there might be active water plumes issuing from Europa that are fed by the planet’s underground ocean. This work provides supporting evidence for water plumes on Europa. In 2012, a team led by Lorenz Roth of the Southwest Research Institute in San Antonio, detected evidence of water vapor erupting from the frigid south polar region of Europa and reaching more than 100 miles (160 kilometers) into space. Although both teams used Hubble’s Space Telescope Imaging Spectrograph instrument, each used a totally independent method to arrive at the same conclusion. These results are very very uncertain. As the lead scientist noted twice during the press conference, the data is at the very limits of Hubble’s capabilities. I would not be surprised at all if later observations find that it is in error. In fact, the press conference itself was more a PR event to lobby for Hubble as well as the James Webb Space Telescope than it was a description of a new discovery. The discovery itself was given a much bigger tease than it really deserves, considering the very uncertain nature of its data. I am a big fan of Hubble, as anyone who has read anything I have written in the past two decades. Nonetheless, I find this blatant lobbying very annoying. Also very annoying will be the naive willingness of many in the press to buy into this story. Expect a lot of silly stories today and tomorrow screaming that water jets coming from Europa have been definitely photographed by Hubble. Using data from three different orbiters scientists have mapped out a region of lakes and streams on Mars that appear to have contained liquid water a billion years after the red planet is believed to have dried up. This region, Arabia Terra, is the same area where scientists have found fossilized rivers. The uncertainty of science: Spectroscopy of many of the gullies on Mars strongly suggests that water had nothing to do with their formation, even though these gullies resemble closely similar gullies on Earth that were carved by flowing water.. In other words, these gullies were formed by flowing lava, not water. Considering Mars’s lower gravity, one third that of Earth’s, we should not be surprised if lava is capable of doing things there that it is not generally capable of doing on Earth. In fact, we should remind ourselves constantly that Mars is an alien planet, and that conditions there are different enough to make any predictions based on our knowledge of Earth very unreliable. Using data from Dawn scientists have calculated that Ceres could have significant regions on the floors of crater, which are permanently shadowed and which could accumulate water ice. In this study, Schorghofer and colleagues studied Ceres’ northern hemisphere, which was better illuminated than the south. Images from Dawn’s cameras were combined to yield the dwarf planet’s shape, showing craters, plains and other features in three dimensions. Using this input, a sophisticated computer model developed at NASA’s Goddard Space Flight Center, Greenbelt, Maryland, was used to determine which areas receive direct sunlight, how much solar radiation reaches the surface, and how the conditions change over the course of a year on Ceres. The researchers found dozens of sizeable permanently shadowed regions across the northern hemisphere. The largest one is inside a 10-mile-wide (16-kilometer) crater located less than 40 miles (65 kilometers) from the north pole. Taken together, Ceres’ permanently shadowed regions occupy about 695 square miles (1,800 square kilometers). This is a small fraction of the landscape — much less than 1 percent of the surface area of the northern hemisphere. Because Ceres is much farther than the Sun that the Moon or Mercury, the scientists believe it very likely that water ice could have accumulated in these cold traps. Scientists now think that the dark streaks they see seasonally develop on Martian slopes are caused when frozen underground water brine is exposed to the atmosphere so that the water boils off, leaving the salt. More here, including videos of their Earthbound experiments. On Earth, the boiling water caused avalanches and streaks, but because of the higher gravity they were not as long. New data from Curiosity has now provided further confirmation that the deeper sedimentary layers seen in Gale Crater were likely formed far in the past by flowing water. Above 800 meters, Mount Sharp shows no evidence of hydrated strata, and that is the bulk of what forms Mount Sharp. Grotzinger suggests that perhaps this later segment of the crater’s history may have been dominated by dry, wind-driven deposits, as was once imagined for the lower part explored by Curiosity. This was always the reason to go and climb Mount Sharp. As Curiosity heads uphill it begins to map out the geological history of Mars, first as a wet place with liquid water, then as a dry place in which the water is gone. A new study suggests that a liquid but very salty water does appear on Mars, during the night in the winter and spring months. The team used Curiosity’s weather-monitoring equipment to look for those conditions and found that they occur every day in months throughout winter and spring. They suggest that overnight and before sunrise, some of the frost that forms on the planet’s surface interacts with the strong salts and turns liquid, seeping into the soil. This lines up with previous studies, which have detected geographic features that suggest flowing water. The results come from the Gale Crater, which is itself too cold to support microbial life — even with liquid water present. But the study authors believe this phenomenon could occur anywhere on the planet, and may actually be more common in areas closer to the polar regions. Still, Mars is a pretty desolate place, and the amount of water we’re talking about is minimal at best. “There’s so little water that you can’t even see it visibly,” Morten Bo Madsen said. Scientists, using computer models and radar data obtained in orbit, have detected large belts of glaciers in Mars’ upper middle latitudes, buried beneath a layer of dust. Using radar measurements from the NASA satellite, Mars Reconnaissance Orbiter, researchers have been able to determine that is water ice. But how thick was the ice and do they resemble glaciers on Earth? A group of researchers at the Niels Bohr Institute have now calculated this using radar observations combined with ice flow modelling. The press release has one typo that is important. The belts appear to be located between 30-50 degrees latitude, not 300-500 (the degree sign became a 0 by mistake). It is important to recognize the uncertainty of this discovery. Orbital images have seen features that suggest glaciers. The evidence that it is water-ice and that the water-ice is still largely present comes from the computer models. Computer models are notorious for seeing things that end up not being there. Nonetheless, this result is important. It is further strong evidence that Mars still contains a lot of water locked in its immediate subsurface, where future colonists can mine it and use it to survive and build their homes. New data from a six year study of the water in the modern Martian atmosphere have allowed scientists to estimate the amount of water Mars once had. About four billion years ago, the young planet would have had enough water to cover its entire surface in a liquid layer about 140 metres deep, but it is more likely that the liquid would have pooled to form an ocean occupying almost half of Mars’s northern hemisphere, and in some regions reaching depths greater than 1.6 kilometres. “Our study provides a solid estimate of how much water Mars once had, by determining how much water was lost to space,” said Geronimo Villanueva, a scientist working at NASA’s Goddard Space Flight Center in Greenbelt, Maryland, USA, and lead author of the new paper. 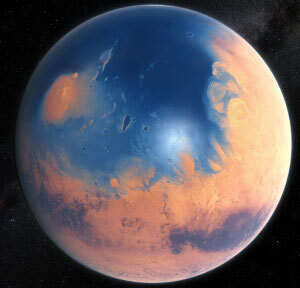 The image on the right is an artist’s conception of the oceans that would have existed on Mars, based on modern elevation data. I must note that this conclusion, the size of the lost Martian ocean, is based on the assumption that the isotope ratios of Martian water started out the same as the Earth’s. While this is a reasonable assumption, it does not have to be true. Nonetheless, these conclusions, using ground-based telescopes, do match up with similar data obtained by Curiosity. The crash of Antares and its Cygnus capsule in October has caused the possibility of a water shortage on ISS. NASA had planned to certify Cygnus to carry water to the space station in early 2015; there were no plans for certifying SpaceX’s Dragon cargo ship to do the same. Orbital plans to launch its next Cygnus aboard a United Launch Alliance Atlas V rocket, but that flight is not scheduled until Nov. 19. Meanwhile, ESA has ended flights of its ATV cargo ship, which was certified to carry water. With the ATV program over and Cygnus off-line, the space station was left with two vehicles capable of carrying water, the Russian Progress and Japanese HTV. HTV flights are now limited to once per year; the next one is planned for August 17, just over two weeks before ISS would run out of water on Sept. 2 unless it was resupplied by other vehicles. The schedule provided very little margin for error, ASAP said. Essentially, if either a Progress or Dragon capsule does not bring additional water to the station before August, and the HTV flight fails or is delayed by more than two weeks, the station will run out of water in early September, requiring its evacuation. Data from Rosetta of Comet 67P/C-G strongly suggests that the origin of the comets of its class come from a wide range of locations within the early solar system, and that many of these comets might not have delivered the water to Earth as previously believed. The data also suggests that the Earth’s water came more from asteroids, not comets, something that scientists had not expected. The uncertainty of science: Though planet formation theories said they should have water, in looking for water on three exoplanets astronomers were surprised to discover practically none there. The three planets, known as HD 189733b, HD 209458b, and WASP-12b, are between 60 and 900 light-years away from Earth and were thought to be ideal candidates for detecting water vapor in their atmospheres because of their high temperatures where water turns into a measurable vapor. These so-called “hot Jupiters” are so close to their star they have temperatures between 1,500 and 4,000 degrees Fahrenheit, however, the planets were found to have only one-tenth to one one-thousandth the amount of water predicted by standard planet-formation theories. New research suggests that, in general, Mars has always been too cold to harbor liquid water on its surface. The uncertainty of science: New research suggests that, in general, Mars has always been too cold to harbor liquid water on its surface for long periods. Mars’ atmosphere was probably never thick enough to keep temperatures on the planet’s surface above freezing for the long term, suggests research published today in Nature Geoscience1. Although the planet’s topography indicates that liquid water has flooded Mars in the distant past, evidence increasingly suggests that those episodes reflect occasional warm spells, not a consistently hospitable phase of the planet’s history. The research does not say that liquid water never flowed on the Martian surface, only that such events were short-lived. They looked at craters and noted that the surface has impacts from meteorites that would not have survived to the surface had the atmosphere been thick enough for liquid water. 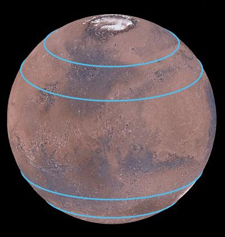 The research however did not address Mars’ relatively smooth northern hemisphere, where there are not a lot of craters and where some scientists think there might once have been a shallow ocean. If Mars never had liquid water for long periods, why does this area lack craters? In a new study scientists confirm their belief that a sea of water the size of Lake Superior exists inside the Saturn moon Enceladus. In a new study scientists confirm their belief that a sea of liquid water the size of Lake Superior exists inside the Saturn moon Enceladus. Astronomers have found evidence of the remains of an exoplanet that they think was once wet and rocky. Using observations obtained with the Hubble Space Telescope and the large telescopes of the W. M. Keck Observatory , they found an excess of oxygen – a chemical signature that indicates that the debris had once been part of a bigger body originally composed of 26 per cent water by mass. By contrast, only approximately 0.023 per cent of the Earth’s mass is water. From what I can gather, the actual data here is somewhat skimpy, requring a lot of assumptions for the scientists to come to this conclusion. Nonetheless, the data is interesting and very tantalizing. Scientists using data from India’s Chandrayaan-1 space probe have detected new evidence of water inside one crater. More water on the Moon: Scientists using data from India’s Chandrayaan-1 space probe have detected new evidence of water inside one lunar crater. What makes this detection important is that this particular water was not placed there by the solar wind or asteroids. Its chemistry suggests it seeped upward from deep within the Moon’s interior. Scientists have found evidence that at least some of the carved river valleys on Mars were partly the result of snowfall. Opportunity, now moving to another target 1.5 miles away, has found evidence of drinkable water on Mars. Opportunity, now moving to another target 1.5 miles away, has found evidence that some of the water on Mars was once drinkable. Before trekking off last month, Opportunity used a grinder to scrape away the top layer of a light-colored rock for a peek inside. The rock was so lumpy and covered with crud that it took the rover several tries to crack open its secrets. Unlike other rocks that Opportunity inspected during the past nine years, the latest told a different story: It contained clay minerals, a sign that water coursed through it, and formed in an environment that might have been suitable for microbes. Previous rock studies by Opportunity pointed to a watery past on Mars, but scientists said the water was acidic. “This is water you can drink,” said mission chief scientist Steve Squyres of Cornell University. More details here, noting that this water comes from an earlier time on Mars, when the planet’s environment was more benign. A detailed analysis of the pebbly rocks that Curiosity traveled past last year have confirmed that this area was once a streambed. The lingering echo of Comet Shoemaker-Levy in the atmosphere of Jupiter. The Herschel observations, together with heat maps provided by NASA’s Infrared Telescope Facility on Mauna Kea, showed the researchers that the Jovian stratosphere was 20° to 30°F (10° to 15°C) warmer than it would be if completely dry. One question is whether the stratospheric warming results from the gentle, continuous infall of interplanetary dust particles, which would be warmed by sunlight as they linger high up. Cavalié and his colleagues believe IDPs create some of the infrared emission but cannot explain it all. Further, a continuously supplied source would migrate to lower depths, yet most of the emission is too high up, at pressures less than 2 millibars. And while the amount of water is roughly constant across the southern hemisphere, the emission gradually weakens northward until it’s less than half as strong. It’s not simply that Jupiter’s bottom half is hotter — there’s just more water down there. As the researchers note, “At least 95% of the observed water comes from the SL9 comet and subsequent (photo)-chemistry in Jupiter’s stratosphere according to our models, as of today. What happens when you wring out a washcloth in zero gravity? An evening pause: What happens when you wring out a washcloth in zero gravity? Data from Mars Reconnaissance Orbiter now suggests that a lake in a Martian crater had filled from groundwater coming up from below. This is an important discovery, as it demonstrates that an underground water table had existed on Mars, at least at this location. 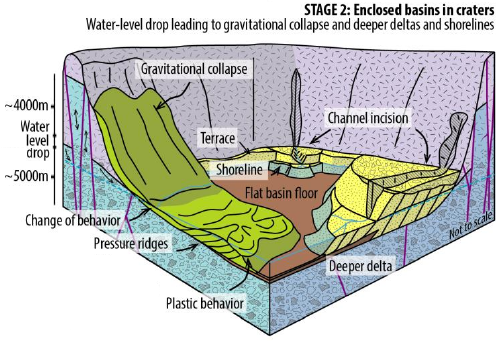 With such a water table, it is possible for all kinds of interesting biological things to have taken place, underground. Messenger has found new and “compelling” evidence that there is water ice locked in the permanently shadowed craters of Mercury. On Monday I had spoken to one of the project scientists for this discovery, David Lawrence, in connection with an article I am doing for Astronomy on the evidence of water on the Moon. I knew the Mercury announcement was coming, and asked him for some details. Based on what he told me, it struck me that the evidence for water on Mercury is actually more conclusive than the evidence for the Moon. (In fact, inconclusive nature of the lunar data is the point of my Astronomy article, based on previous posts here and here on Behind The Black. The more intriguing aspect of this discovery on Mercury, however, is the unknown dark material that covers and protects some of this water ice. That some scientists believe it might even be organic material deposited there by comets and asteroids is most interesting.